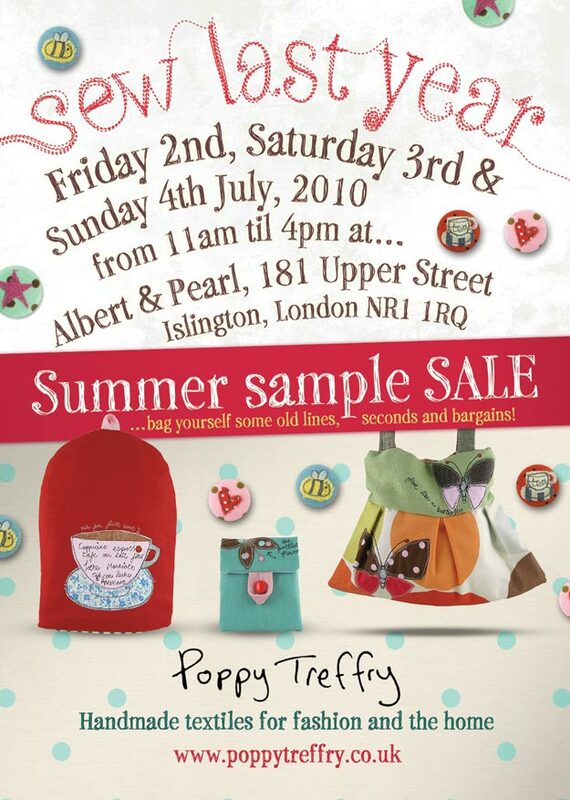 New A3 Sale poster to promote Poppy’s Summer sale in London. The handmade freestyle feel goes well with Poppy’s existing branding. I hand drew the ‘sew last year’ text by hand in Adobe illustrator using a wacom tablet and pen for smooth flowing lines. This would be harder to do with a mouse. The background fabric was created by using a plain library shot of linen and then adding the spots afterwards in Photoshop CS4.